Local ‘at home’ Care Company Home Instead Senior Care made a selection of delicious cakes to raise money for the charity Action on Elder Abuse (AEA) and its World Elder Abuse Awareness Day on the 15th June. World Elder Abuse Awareness Day (WEAAD) is an annual event created by the United Nations to raise awareness of the mistreatment of older adults globally and to highlight the need for appropriate action. 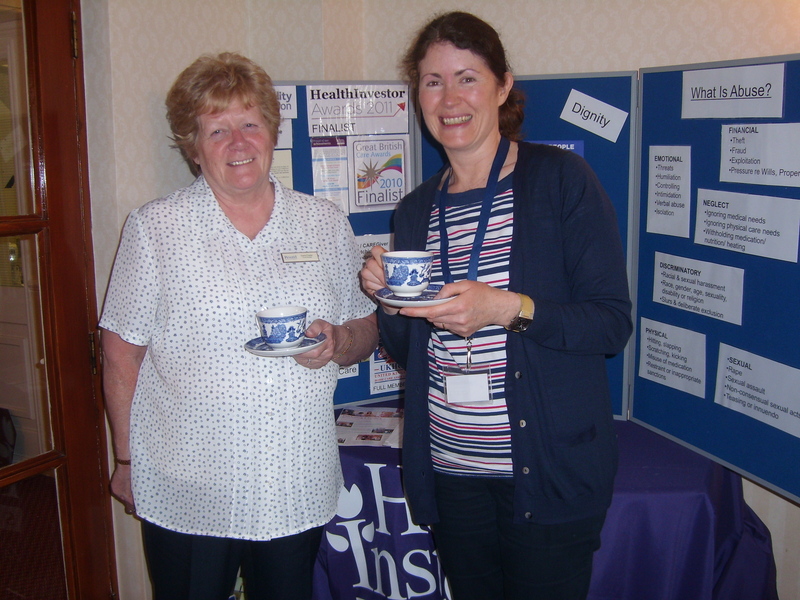 Home Instead hosted a coffee morning and cake stall at The Adelphi retirement development Harrogate and raised just shy of £100 for the charity. Adelphi residents enjoyed fresh home-made cakes, tea and coffee as they relaxed and came together for a good cause and a natter. To contact Home Instead team call 01423 774490 or for more information visit www.homeinstead.co.uk/harrogate. Photo caption: Dianne Fowler, warden of the Adelphi, Harrogate (left) with Home Instead owners Sheena Van Parys (right).